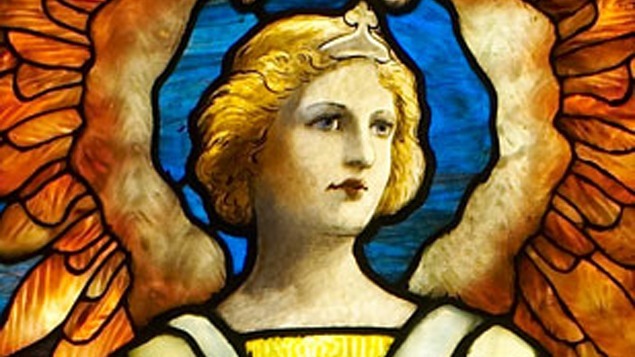 Created by Tiffany Studios in New York City at the beginning of the 20th century and named for the angels in the Biblical Book of Revelation, the seven windows in this exhibition were originally installed in the Church of the New Jerusalem in Cincinnati, Ohio. The church was taken by eminent domain and demolished for highway construction in 1964, and the windows were crated and stored in various garages and sheds for decades until their re-discovery in 2001. This national exhibition tour debuts the story of these seven rediscovered Tiffany Windows.